Ernesto Valverde has announced the names of the players that he is taking on the midweek trip to South Africa to take on the Mamelodi Sundowns on Wednesday at 6.15pm (local time and CET). Remember you can follow the game for the Mandela Centenary Cup live on fcbarcelona.com, Facebook.com/FCBarcelona, Youtube.com/FCBarcelona and Barça TV (where available). The Barça boss is leaving behind the injured Samuel Umtiti and Thomas Vermaelen, but is taking three players from Barça B in addition to the other 20 members of the first team. The full list of players travelling south on Tuesday evening is therefore as follows: Ter Stegen, Cillessen, Semedo, Piqué, Rakitic, Sergio Busquets, Denis Suárez, Iniesta, Luis Suárez, Messi, Dembélé, Coutinho, Paulinho, Paco Alcácer, Jordi Alba, Digne, Sergi Roberto, André Gomes, Aleix Vidal, Yerry Mina, Carles Aleñá (26), Iñigo Ruiz de Galarreta (40) and Jorge Cuenca (41). 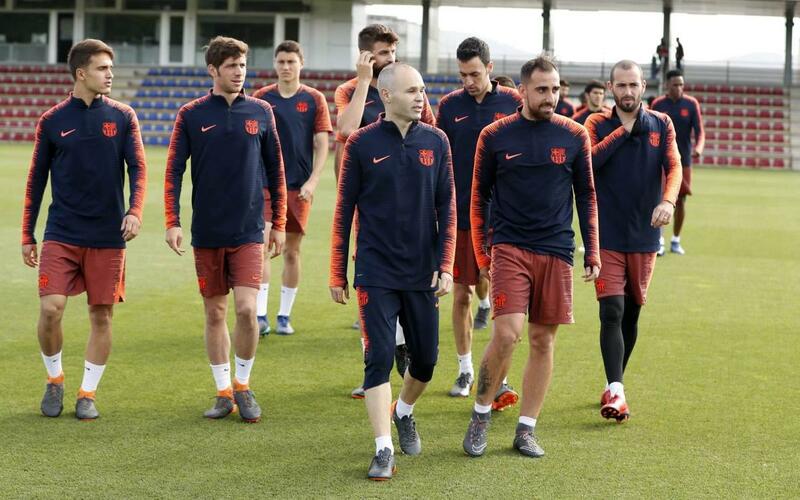 Before heading to the airport, the players worked out on the Tito Vilanova field at the Ciutat Esportiva Joan Gamper, with Leo Messi working out in isolation and the three aforesaid reserves plus David Costas joining in too. The session also included a hearty round of applause for Ousmane Dembélé, who is celebrating his 21st birthday today. You will get a better idea of what happened by clicking on the video above!